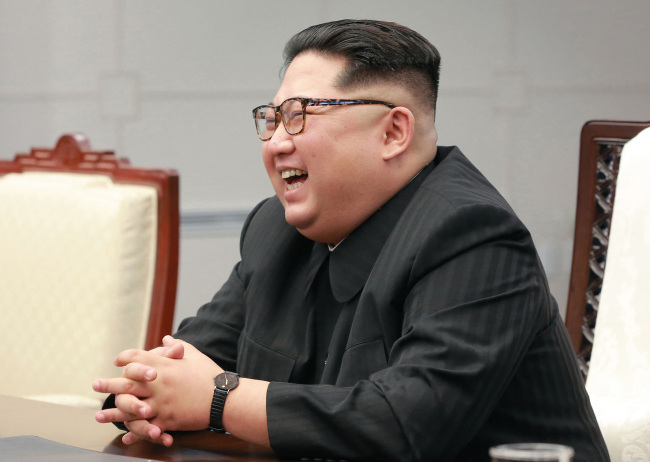 More than 60 percent of South Koreans have confidence in North Korea's stated willingness for denuclearization and peace on the Korean Peninsula, a survey showed Monday. In a Realmeter survey conducted Friday when the historic inter-Korean summit took place, 64.7 percent of the respondents said they trust Pyongyang's will to denuclearize and work toward a lasting peace on the peninsula. Those who don't trust the communist state comprised 28.3 percent, while 7 percent said they were unsure. In the Panmunjom Declaration following the summit between South Korean President Moon Jae-in and North Korean leader Kim Jong-un, they affirmed "complete denuclearization" and agreed to halt all hostile acts against each other, as well as seek a formal end to the 1950-53 Korean War and a peace regime among other things. In the same survey, 52.1 percent of the questioned said they used to distrust the North, but they now trust it, while 26.2 percent said they didn't trust and still don't trust the North. Those who said they trusted the North in the past and do trust it now made up 12.6 percent.